Vanderkitten-Focus has continued its winning season, with two squads racing simultaneously on the East and West coasts of the USA this past Memorial Day weekend- and WINNING both races. 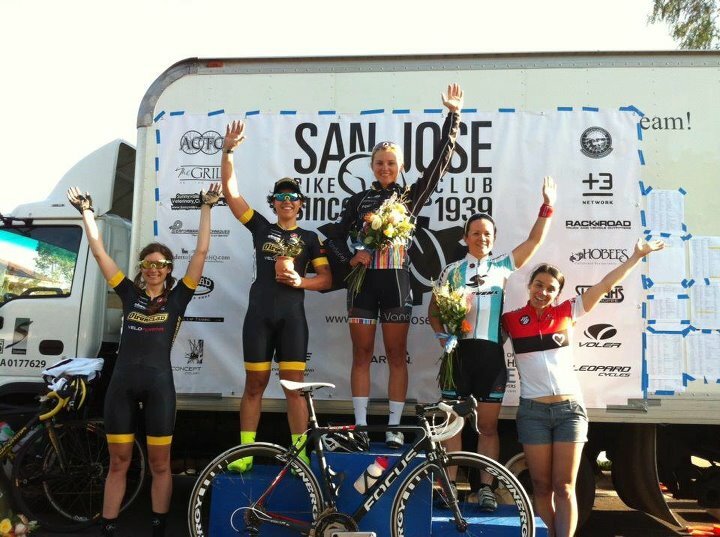 In California, Maura Kinsella was supported by teammates Starla Teddergreen, Courtney Dimpel and Vanessa Drigo in a hotly contested Memorial Day Criterium presented by San Jose Bicycle Club. After a race filled with ferocious attacking by the Vanderkitten-Focus gals, Maura put in a massive attempt in the closing laps of the race. Despite a concerted chase from the entire peloton led by the Red Racing Team, Maura managed to hold off her opponents and claim the victory. While this was going on, Bridie O’donnell, Kathleen Billington, Jazzy Hurikino, Emily Collins and Kate Chilcott were tearing up the east coast at the USA’s longest running race, Tour of Somerville, New Jersey. Against a stacked field of 65 top shelf crit riders, Vanderkitten-Focus launched multiple attacks to soften up the opposition. In the finale, a stellar, full force lead out by all 5 VK teammies led Ruth to her biggest win to date, edging out Laura Van Gilder in the throw to the line. Emily Collins, who ran 5th, explained “Ruth has got a huge kick! Van Gilder jumped after the great leadout by Kathleen, but when Ruth went as well only 100metres out, she really surprised with her speed”. A fantastic win for Ruth as she heads to USACrits Palm Bluffs and Glencoe GP this weekend with Van Dimpel and Teddergreen, while Collins, Hurikino, Chilcott, O’Donnell and Bilington race UCI 1.1 Liberty Classic in Philadelphia on Sunday. 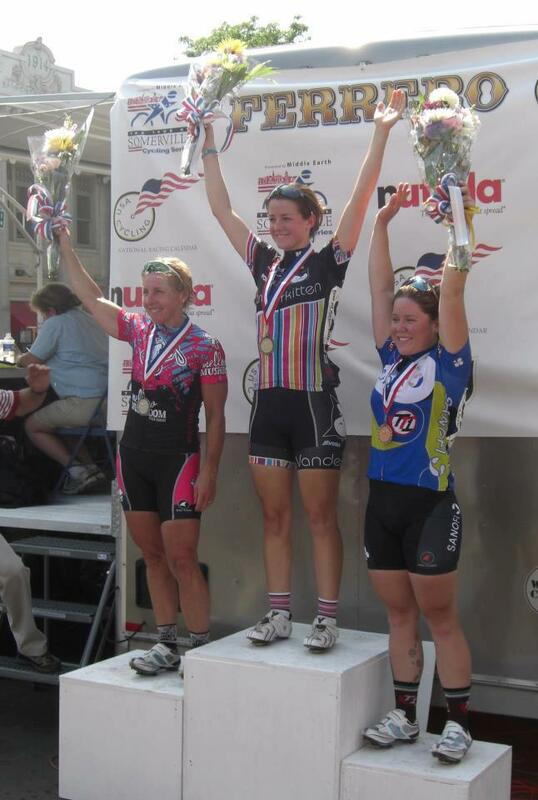 This entry was posted in Uncategorized and tagged cycling, Maura Kinsella, Ruth Winder, Somerville, USACycling, vanderkitten, Win, women's cycling by Vanderkitten. Bookmark the permalink.